How cool for you. I had the pleasure of enjoying a visit and to see a launch at NASA as a guest of then Director Michael Griffin. I was not crazy for Florida but NASA…wow. I had never been around a greater and more motivated group of people than those of the NASA employees and contractors. As a child of southern california and the space race it was a dream come true to witness a launch. I want you to know how much i enjoy the future angels website. Your insights are always informative. Even though I find myself in the eastern time zone my love for all things Angels remains, (even those late nights watching the boys). Thanks again and congratulations on your new adventure! Thank you for the compliment. 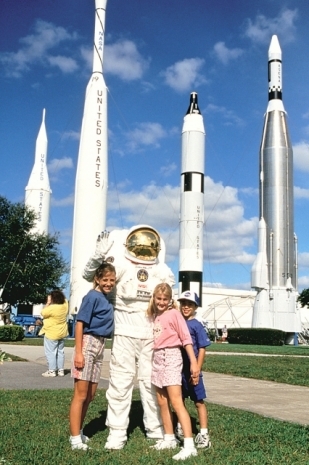 You may enjoy reading my space blog Space KSC at http://www.spaceksc.com. Wow, Stephen. I didn’t realize you also had a space blog. Fantastic! I just, also, wanted to say that I appreciate you still keeping up the Future Angels blog. Even if you only post once in a while, I love your insights and observations. And now that I see you have a space blog, there’s another website I’ll be visiting every day (my bosses will not be happy 🙂 ). Thanks for all you do. That was filmed using the same camcorder I’ve used for filming in the Angels’ minor leagues. The investment keeps paying off.